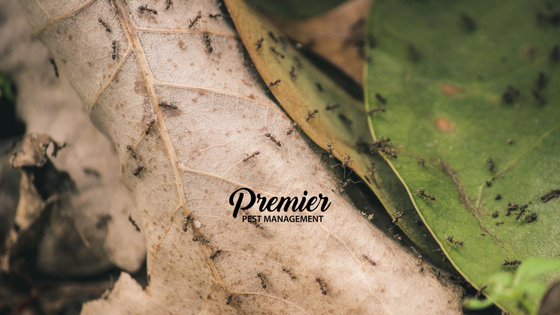 We love summertime and the sunshine over here at Premier Pest Management. Do you know what we don’t like? Ants! These little guys love to hang out and make themselves welcome indoors but there are a few things you can do to defer them. Seal your windows, doors, and cracks with caulking. Ants can come through even the smallest holes in your foundation or doors. On top of deterring ants from entering your home, you’ll save money on your energy bills and have better temperature control in your homes. If you have kids or pets, caulking is a safe way to protect your home from ants as well. Clean surfaces in your home with a half vinegar and half water solution. Ants hate the smell of vinegar and it removes the scent trails ants use to get around. On top of that is an environmentally friendly cleaning options and it’s affordable. Like vinegar, lemon juice destroys scent trails that ants follow. Spray lemon juice around the places you think ants are using for entryways as an uninviting welcome. Peppermint oil is an excellent deterrent for ants. Clean your surfaces well and wipe them down with a clean damp cloth with a few drops of peppermint oil on it. Ants despise the smell of the oil and it’s safe for both pets and children. Sprinkle black pepper, cayenne pepper, chili pepper, cinnamon, mint, cloves or garlic along the foundation of your home to keep the ants away. They do not like the smell of any of these spices and refuse to enter your home if they are present. Reuse your used coffee grounds in the garden and around your homes exterior to discourage ants from hanging around. If you can find their entrance to your home be sure to put some of the grounds there. Ants dislike the smell of coffee so will pick up and leave quickly. Draw a line of chalk or sprinkle baby powder across the spot where ants have made an entrance to your home. Talcum powder is a natural ant repellent and luckily is included in both items. Cucumber and citrus peels are toxic to the fungi that ants feed on so they refuse to go near them. Leave the peels in areas where you notice ant activity. A thin line of dish soap around baseboards, windows, doors and anywhere else ants gather in your home can be helpful to discourage them from entering. Try pouring dish soap directly on any ant hills to take out the enter colony as well. Do you have any other tricks you use to keep the ants at bay? We’d love to hear them!